is a mobile taskforce of multidisciplinary experts specialized in brand innovation on emerging markets and industries. Brandient delivers brand innovation across large-scale rebranding projects. While the name Savana had enjoyed high awareness and recall value, the former packaging identity and the related applications were not communicating the premium quality of the product. The old packaging rather suggested dryness and coarseness and was not credible in communicating the quality attribute. The new visual identity was designed so as to keep on supporting the name but also to inspire quality through life, color and exuberance. Savana was transformed from a dry and coarse place into a show of life and color. The use of animal figures (not only from the savannah) catches the buyer’s attention instantly. Moreover, this rendered the developing of the brand architecture and the design of the product range and its extensions easy and neat. The new identity conveys a message of top quality and increases the memorability and appeal of the brand on the shelf. 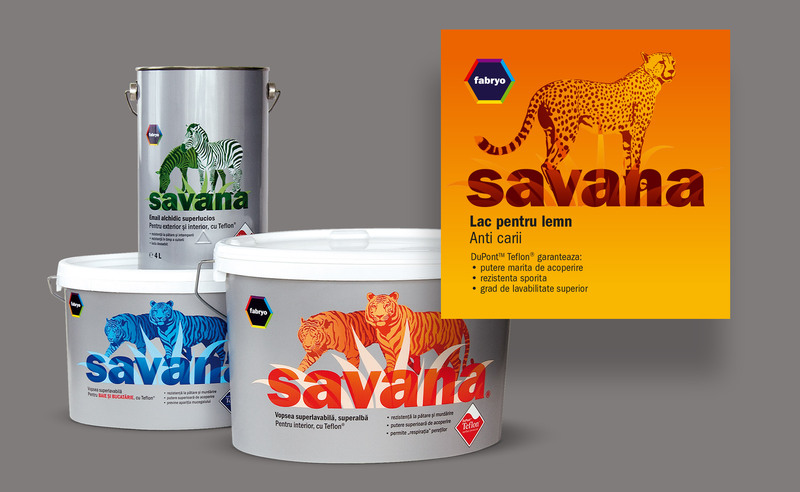 Savana Kids — packaging design for a special paint for kids’ environments, marketed as a range extension of the premium Romanian paint & lacquers brand Savana. 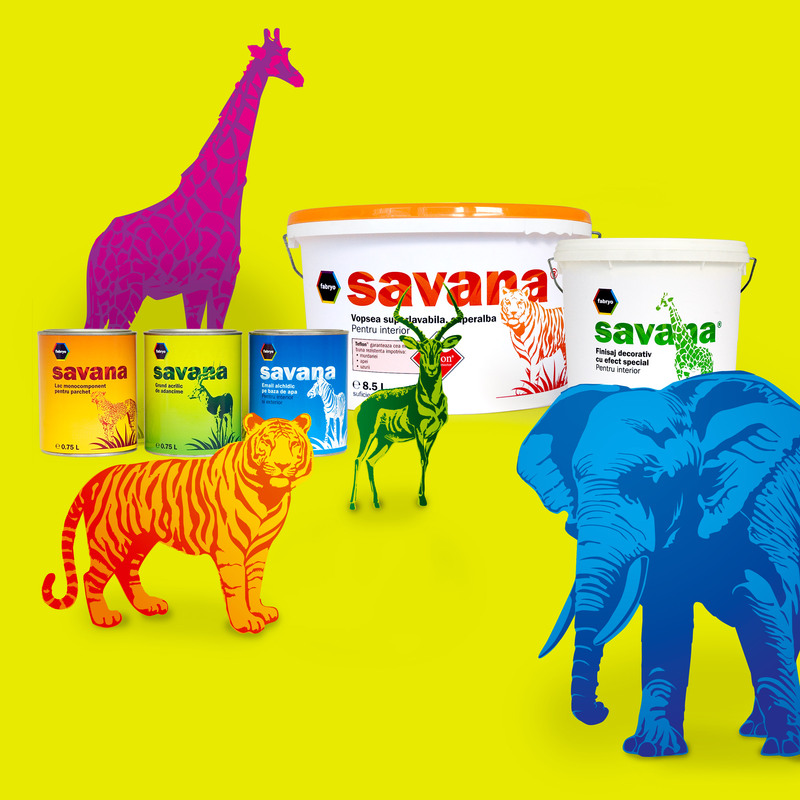 The new paint range – comprising both specific formula and colors — has been created for and targeted to kids’ territory but aiming, at the same time, to preserve the equity of the Savana brand. While the mother brand displays mature animals illustration (“in the savannah”), the Kids range shows toy-like animal babies and the colors are more vivid, contrasting and playful—so as to appeal to the new target but under the same conceptual umbrella. Copyright © Brandient. All rights reserved.